Amongst all the species that were split off the Herring Gull, the Caspian Gull is my favourite one, and its existence alone is our fair reward for the identification crisis we had to endure during the dark ages of the 1990s. Yes, I’ll remain true to my initial aim of this gull series in not focussing on identification and taxonomy – however hard that may be – but the genesis of our understanding Caspian Gulls is too remarkable to leave out. 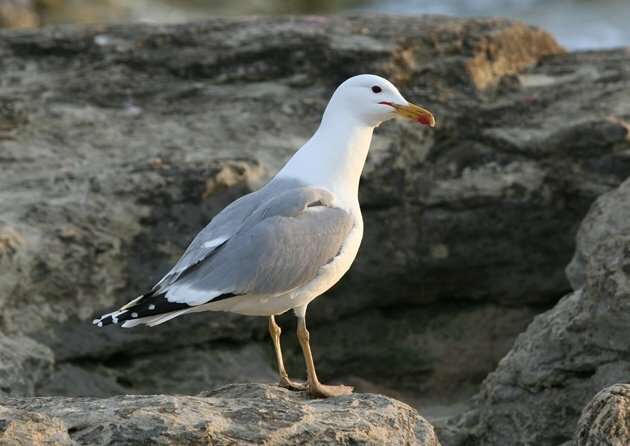 You see, the first split off the Herring Gull was the “White-headed Gull”, a form that included what today is Yellow-legged and Caspian Gull. 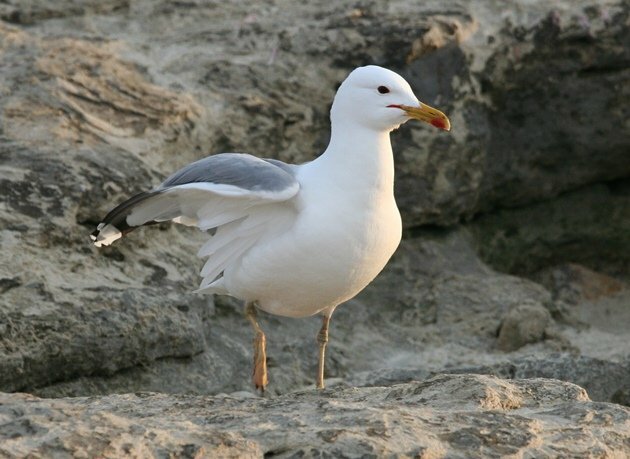 However, most birders pioneering in the field of separating “White-headed” from Herring Gulls gathered their knowledge along the coast of the Mediterranean, with the nasty consequence that the fieldmarks for Yellow-legged Gulls were also applied to Caspian Gulls. Now, very soon birders in Germany got rather confused since the majority of the large white-headed gulls they saw inland showed characters intermediate between Herring and “White-headed”. Little did we realize that all the confusion came from the fact that the “White-headed” Gulls were indeed two species, that many characters of Caspian Gulls are intermediate between Herring and Yellow-legged, and that the majority of our large white-headed gulls inland are indeed Caspian Gulls – with the exception of southern-most Germany where Yellow-legged Gulls predominate. 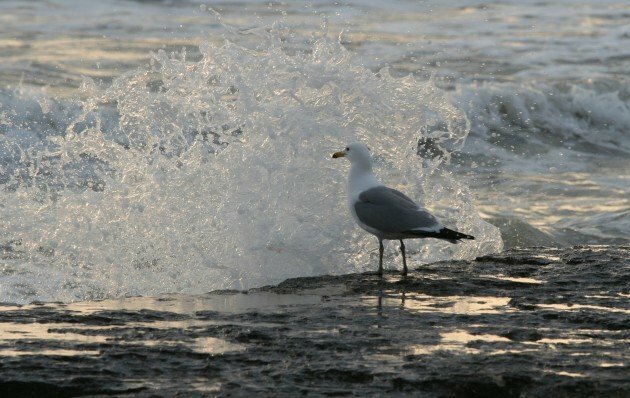 The key to solving the puzzle of Germany’s large white-headed gulls was banding juveniles of all forms in their breeding colonies and the fact that some humans find immense joy in driving around garbage dumps, looking at birds with pricey scopes and trying to decipher tiny codes on plastic or metal rings of various shapes and sizes. Birding at its finest, and a fine bird indeed. I do however have one issue with Caspian Gulls, and yet again that issue relates to its common name. Now, I am totally fine with “Gull”, but the “Caspian” part contributes as significantly to the wrinkles on my forehead as old age and the sun. 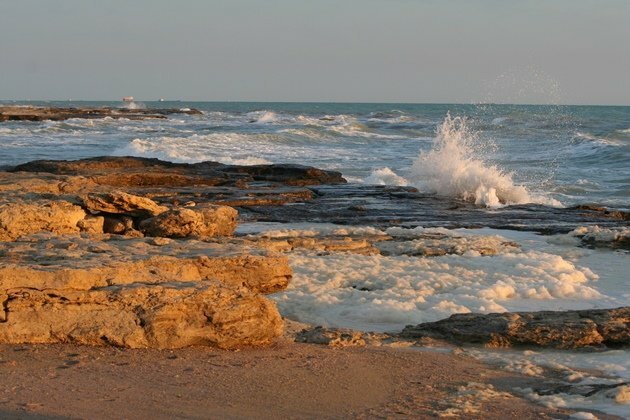 All is well on the following images: the coast of the Caspian Sea, and the gulls of the Caspian Sea – Caspian Gulls. Things get a bit confusing however once we move 2,500 km (or 1,500 miles) east across Kazakhstan towards the foothills of the Altai mountains. This area – roughly – is the most continental landscape on earth. You can’t get further away from any ocean than this. And what do we find to be the most common gull? Right, the Caspian Gull, sounding (not being) very much out of its comfort zone so far away from its Caspian Sea. Surely, cases like this demonstrate the advantage of being a bilingual birder: I can choose whichever name I prefer, and in the case of Larus cachinnans I am sorry to report that the German name rules the game – again. 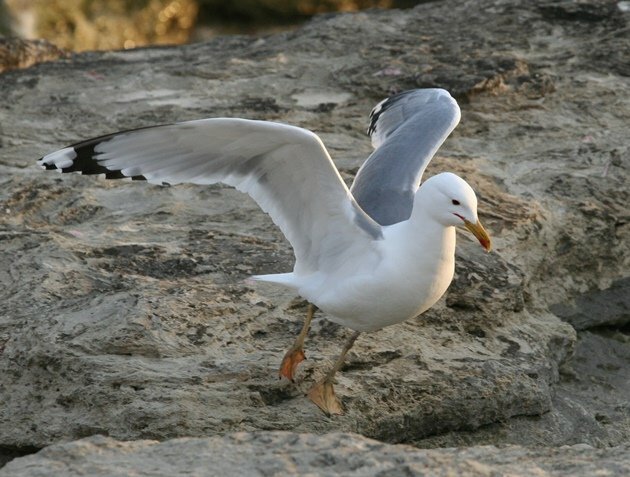 In Germany, your Caspian Gull is called Steppenmöwe, which translates to Steppe Gull. Why does “steppe” win over “Caspian”? 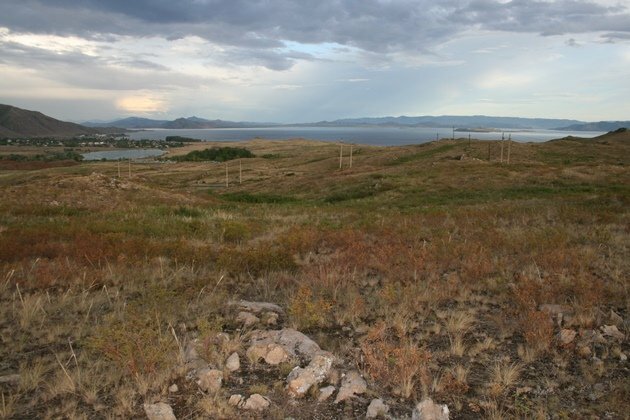 Because the species ranges from the western shore of the Black Sea in a broad band across southern Ukraine and through Kazakhstan to the Altai, a region that may have the Caspian Sea in its centre but is not characterized by it as much as by its predominant biome: steppes. 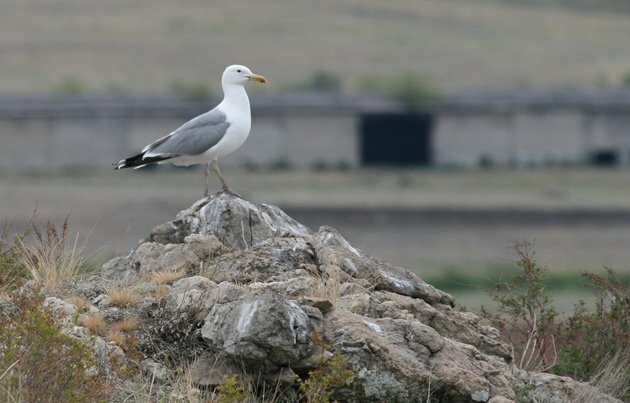 The Caspian Gull’s distribution throughout the steppes of central Asia, specifically in its eastern parts, makes it the most continental of the large white-headed gulls – or all the gulls for that matter. 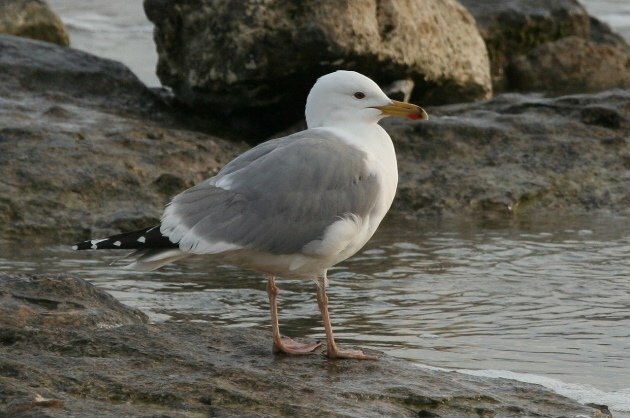 There is another gull taxon of uncertain affinities – Larus [whatever] barabensis, sometimes regarded as a genuine species, or a member of the Caspian Gull or the Lesser Black-backed Gull or some other form I have forgotten – which comes close to matching the Caspian’s continental affinities. However, barabensis breeds north of cachinnans and is thus closer to the Arctic ocean. 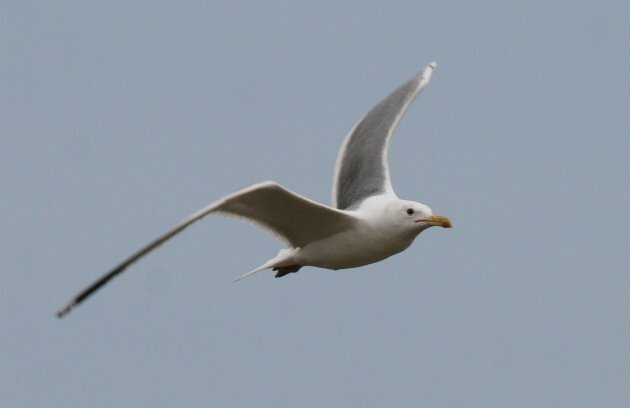 And while this only means it has even further to migrate to its wintering grounds on the Indian Ocean shores, the Arctic does deprive the taxon of the prestigious status of being the most land-locked gull on earth. Never mess with Caspian Gulls. This is lake Bukhtarma in far eastern Kazakhstan. It is not the Caspian Sea in spite of what some people in charge of naming gulls would like to have you believe. Lake Bukhtarma is perfectly able to make a large white-headed gull happy – which may be the only thing it has in common with the Caspian Sea. Although frankly, the gulls’ happiness may not be entirely due to the lake’s features but due to what humans living around it frequently dispose of. Yes, there are Caspian Gulls on this picture. And Jackdaws. And Black-eared Kites. And spotting the gulls amongst the garbage was as formidable a birding challenge as their identification. But that’s why we love gulls – and they love us. 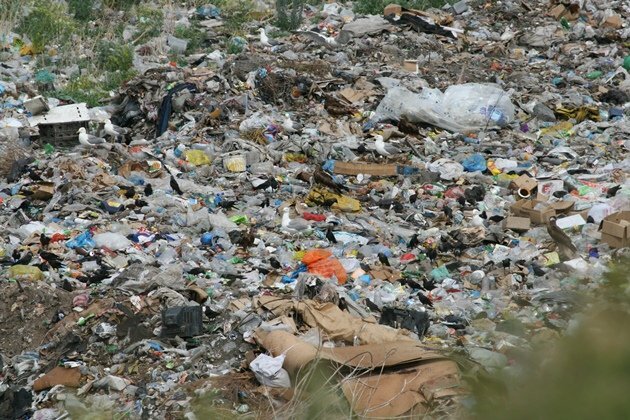 I observed two Caspian Gulls at a garbage dump in Verona, Italy several weeks ago. The long bill is certainly notable. First Ever World Series of Birding Triathlon Part 2, or, On a Boat!